Yes, we did make it (and I scrapped the page to record the memory), but it wasn’t pretty! The good thing was that it was pretty when we got there, so it was worth it! Where am I talking about – Hawai’i! Yep, and it was me asking the question Are we There Yet?! I liked that there were spots for multiple photos and that they were small since I was using pictures from my phone (and that phone did not have a great camera on it.) Also the fact that the photos were divided worked well for my page, too. Then there was the layering and the strips along the top – just a wonderful sketch for my page! The map was created by stamping the image with Distress Ink and clear heat embossing it. To get the watercolor look I smooshed the ink pads for the states and the ocean colors onto my craft mat and picked them up with a slightly wet water brush. I colored around the land borders with a sepia brush tip pen from Sakura and drew the travel path with a fine tip pen from the same set. The wood veneer planes were smooshed into a Distress Ink pad and then set aside to dry to help them stand out a little. All of the solid colored papers were created with the same watercolor technique as before, just on a larger piece of paper. I love the ombre look I got with the “Let’s Go” die cut by using yellow into orange. The Lawn Fawn stamps were perfect for this story. In general, I loved how I was able to customize my papers for the die cuts by using the Distress Inks to watercolor and how all Distress Inks seem to go together very well no matter what. allowed me to focus on the wonderful oranges and yellows that were in the artwork on our room keys! The patterned paper and washi tape are from Bella Blvd and I used my favorite Scotch Quick Dry adhesive on the wood veneer pieces, my Xyron Mega Runner for the larger pieces of paper and my Zig fine tip and chisel tip glue pens for the smaller paper bits. Thanks so much for stopping by! I’ve got more to share in the coming days, so I hope to see you back soon! May is a month filled with celebrations: Birthdays, Mother’s Day, Memorial Day, Graduation, National Scrapbooking Day. 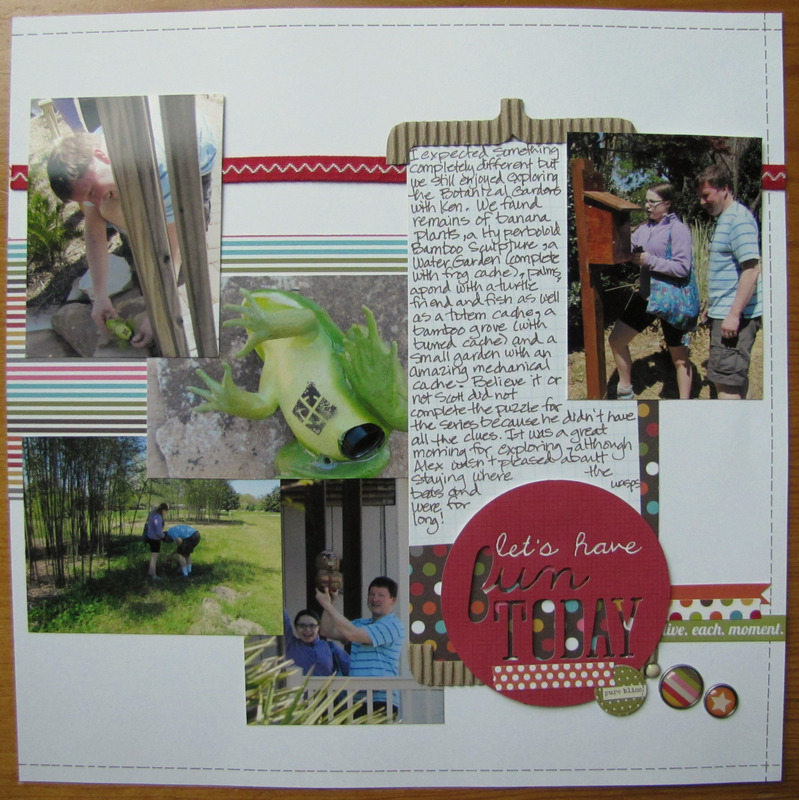 OK, I realize that most people don’t celebrate National Scrapbooking Day and honestly, I didn’t really do much to celebrate the day itself since it’s on a Saturday and I don’t tend to have time to scrap on Saturdays, but it’s still fun to celebrate! 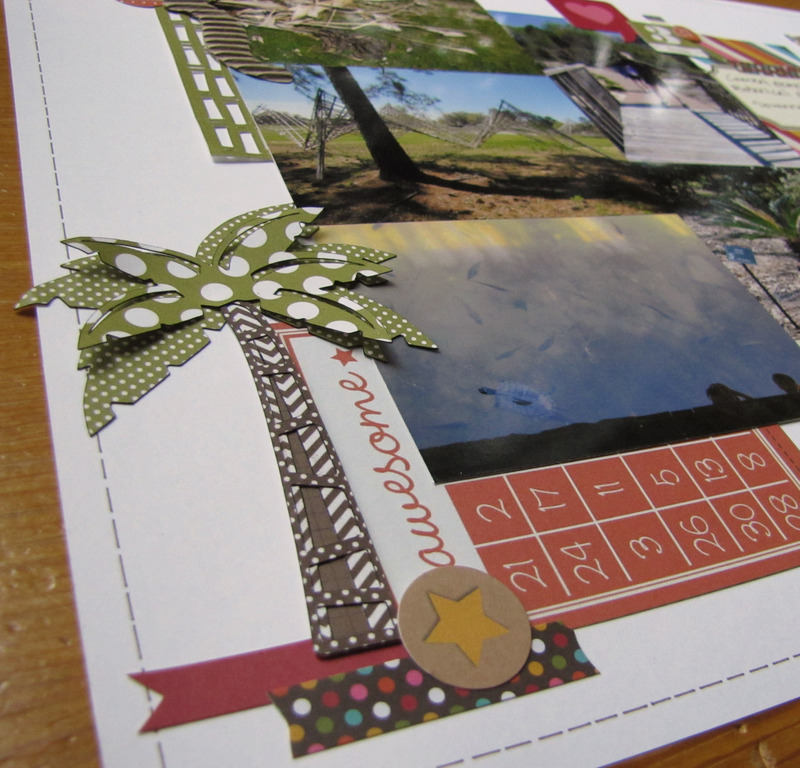 I’m thankful for opportunities to celebrate scrapbooking since it’s something I’m passionate about. There were five different challenges that the layout I’m sharing today qualifies me for and two of them are celebration challenges and the layout is from my birthday so I think that’s something to celebrate! 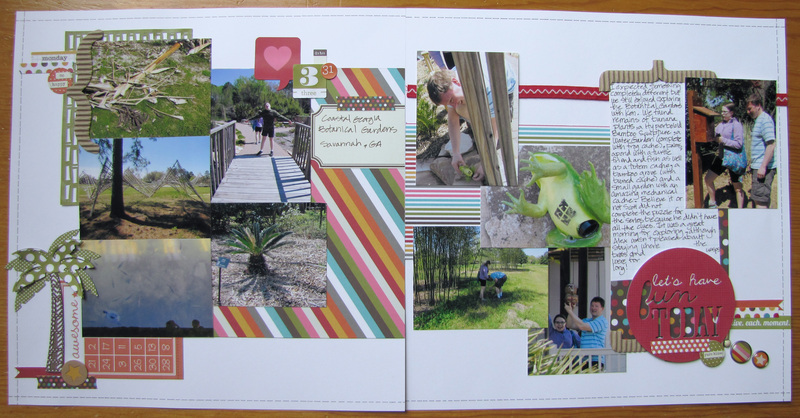 I loved all the room for journaling, the different background paper layers and the photo groupings. I also loved that the elements in the sketch were about nature because that’s the subject of my layout, too! Now I included 10 total pictures on my layout, but I think you can get the general feel of the sketch. I used the Simple Stories Snap Life and Color Vibe papers and elements throughout my layout. This has really been a versatile collection for these vacation layouts. It includes lots of fun bingo cards, so I used the fun “awesome” bingo card on the left side for my Scrappin-n-chattin Yahoo! group challenge for May to use a bingo card. 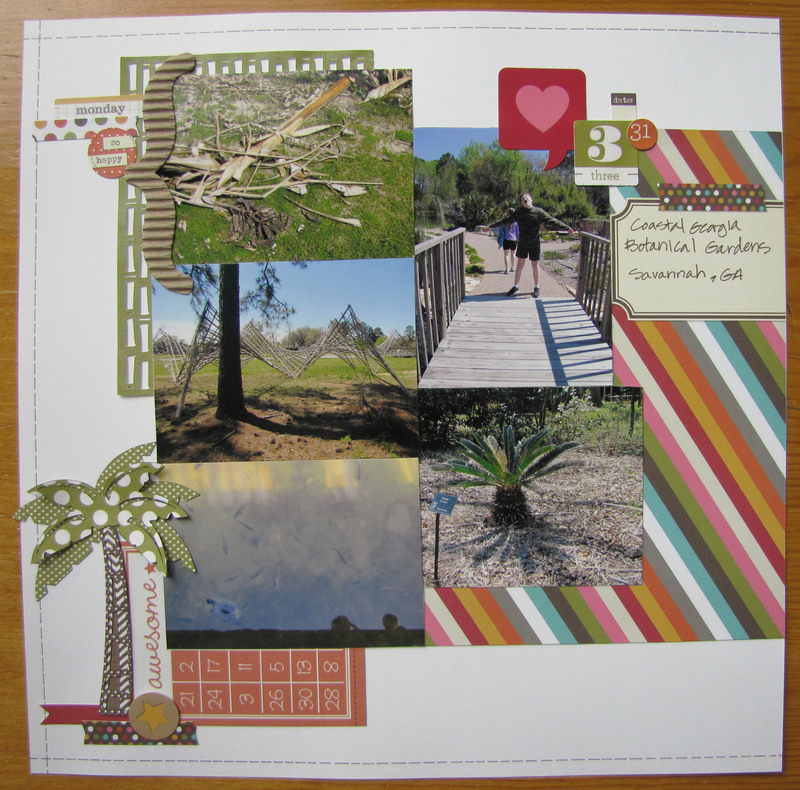 For the other challenges, I’ll be entering the Stuck on U Die Cut Challenge – Tree (had fun using a die cut palm tree from Miss Kate’s Cuttables I adapted a coconut palm tree from her beach scene – I really liked all the layers on the trunk and the foliage.) And along with the tree I cut the title from a Simple Stories file in the Silhouette store as well as a bamboo background by Elizabeth Mayne that’s in the upper left corner.) 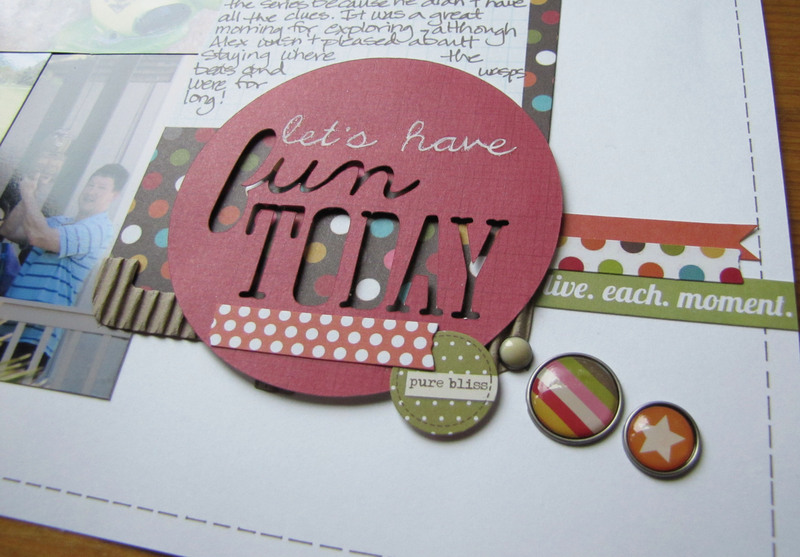 I’d say this is Die Crazy so I’ll be entering my layout at Simon Says Stamp Wednesday Challenge. Moxie Fab World National Scrapbook Day: Scrapbooking Rocks Challenge was to scrap for fun and share – I pretty much always have fun when I scrap, so that was easy! I think that about wraps up this blog post! Thanks so much for stopping by! I love to read your thoughts when you leave comments, so thanks for sharing! Have a great day! 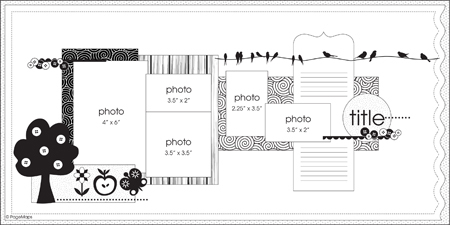 Supplies not already listed: Cardstock – The Paper Studio; corrugated shapes – Close to My Heart; pens – Sakura; cutting machine – Silhouette Cameo; Adhesive – American Crafts, Imaginesce, Xyron. 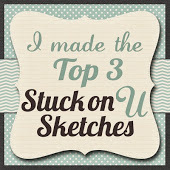 I was chosen a top 3 for the Stuck on U Die Cut Challenge – Tree! I’m so happy! I love my palm tree! Thanks Stuck on U Sketches!